Muang Vaen is a beautifully situated village 2 hours along an unsealed side road from Ban Don with a reputation for very fine weaving. There was only a small amount of work available to purchase, as finished products are sent every couple of days to shops in Vientiane. But the work was of such high quality and the welcome so friendly, I found it well worth the 4 bumpy hours on the back of a moto to visit. These girls are modelling their work. I bought the green one, but wanted them all. 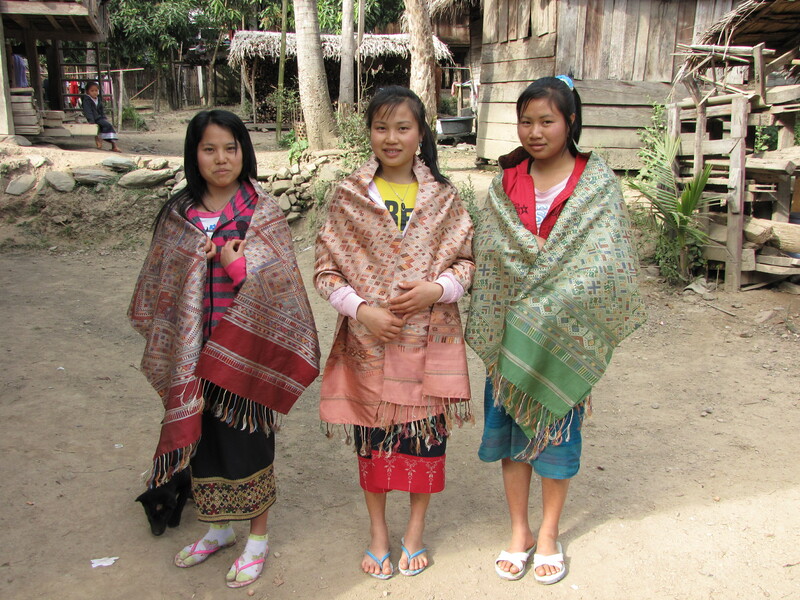 This entry was posted in Laos and tagged Asia, Laos, Textile, weaving, Xam Neuea by Wendy Garrity. Bookmark the permalink.